Clarence "Dutch" Burch, who coached Lycoming College's men's basketball program from 1962-94, passed away Saturday, Sept. 8. He was 80. During his 32-year tenure, Burch won a school-record 318 games and led the Warriors to Middle Atlantic Conference regular-season championships in 1965-66, 1983-84 and 1984-85. Lycoming made 11 appearances in the postseason with Burch at the helm. "Lycoming College has lost one of its most storied coaches of all time," said Lycoming President James Douthat. "It has also lost a true gentleman." A memorial service to will be held Friday, Sept. 14, at 6 p.m. at Trinity Episcopal Church, 844 W. Fourth St., Williamsport. A reception with his family will follow the service at church. In lieu of flowers, the family suggests memorial contributions in Burch's name may be made to Lycoming College and Dutch Burch Court, Development Office, 700 College Place, Williamsport, PA 17701 or Trinity Episcopal Church. Condolences may be sent to his wife, Georgia, at their home address: 1104 Elmira Street, Williamsport, PA 17701, or submitted online at www.knightconferfuneralhome.com. Burch, who was MAC Coach of the Year in 1983-84, coached 17 first-team all-conference picks and two league most valuable players during his career. He also mentored 11 of the program's 25 1,000-point scorers, including Rich Henninger (1970-74), the all-time leading scorer who tallied 2,184 points, and five of the program's top 10 all-time leading rebounders. Lycoming enjoyed one of its finest seasons in 1984-85, compiling a then-school record 19 wins en route to a berth in the NCAA Division III Tournament. Among the highlights of Burch's career was having the opportunity to coach two of his three sons, Sam (1982-86) and Seth (1985-89). They helped Lycoming to a 92-75 record and three MAC playoff appearances during their playing careers. His daughter, Sue, a 1981 Lycoming graduate, was a member of the women's tennis team. Known as one of the true gentlemen of college basketball, Burch guided the Warriors to four Sam Schoenfeld Sportsmanship Awards, given annually by the Collegiate Basketball Officials Association. A member of Lycoming's Athletics Hall of Fame, Burch also served the College as head baseball coach from 1962-72 and director of athletics from 1976-84, overseeing the addition of women's basketball, women's swimming and men's and women's cross country. He helped incorporate Lycoming's women's athletics program into the NCAA during the 1982-83 season. Burch graduated from the University of Pittsburgh in 1954. He was named the men's basketball team's most valuable player in 1952 and 1954, and was drafted in the fifth round of the 1954 NBA draft by the Fort Wayne (now Detroit) Pistons. He is survived by wife, Georgia, and their four children, Susan B. Caravaggio (Steven) of Williamsport, Stephen W. Burch of Williamsport, Samuel C. Burch (Dawn) of South Williamsport and Seth B. Burch (Debi) of Williamsport; three granddaughters, Anna G. Caravaggio, Mersadies R. Burch and Gabriela L. Burch; and a brother, Joseph G. "Pete" Burch (Bonnie) of Oil City. Lycoming College is a four-year, residential liberal arts and sciences school dedicated to the undergraduate education of 1,400 students. 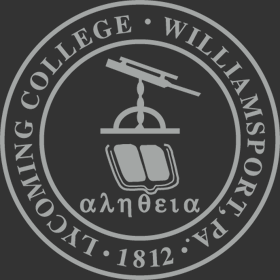 Located near the banks of the Susquehanna River in Williamsport, Pa., the College fosters academic rigor, a supportive faculty and successful outcomes. It offers 36 academic majors and is recognized as a Tier 1 educational institution by U.S. News & World Report. Founded in 1812, Lycoming is one of the 50 oldest colleges in the nation.